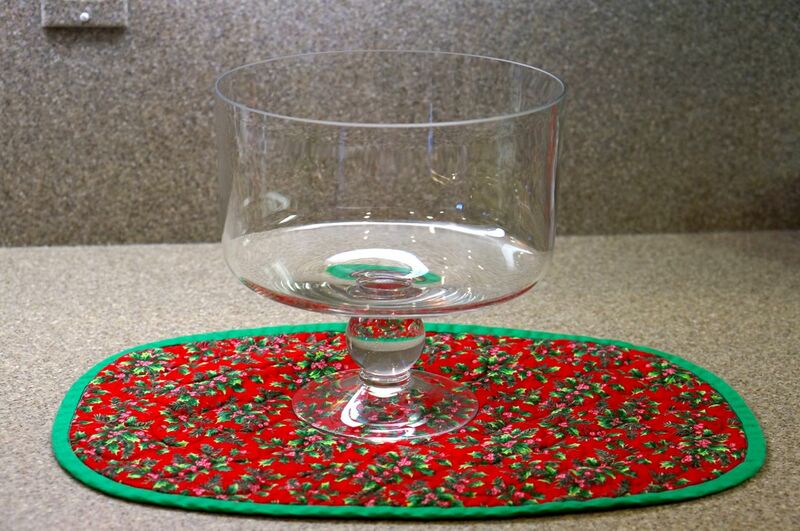 We were looking for a festive shenanigan that would be a perfect fit for a New Year’s party. 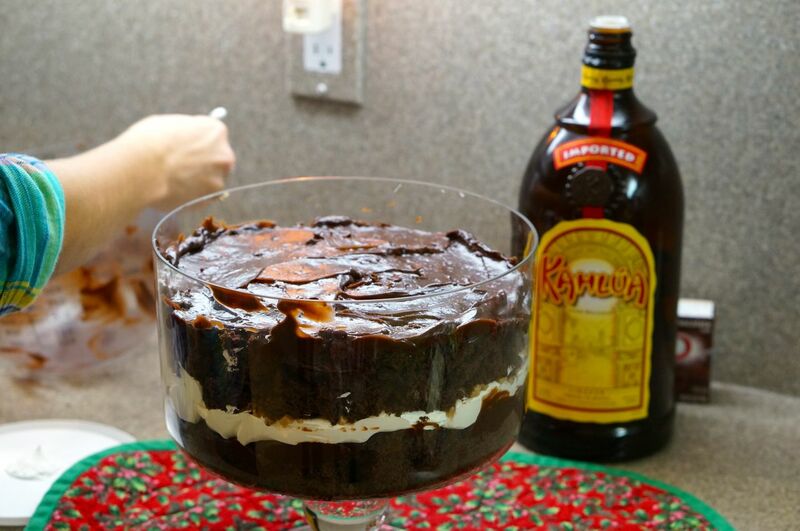 After looking for a while, Kristen remembered that every year her Aunt Kathy makes an awesome Kahlua Chocolate Trifle. 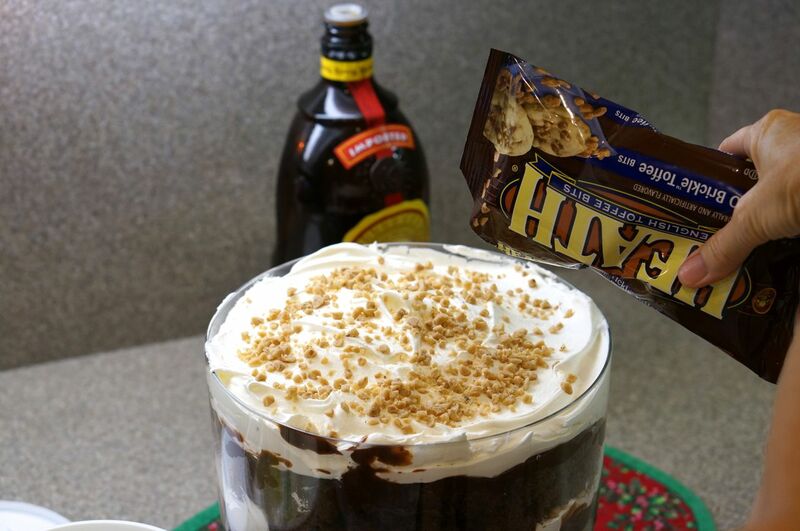 We thought this would be a perfect New Year’s Eve dessert to ring in the new year. 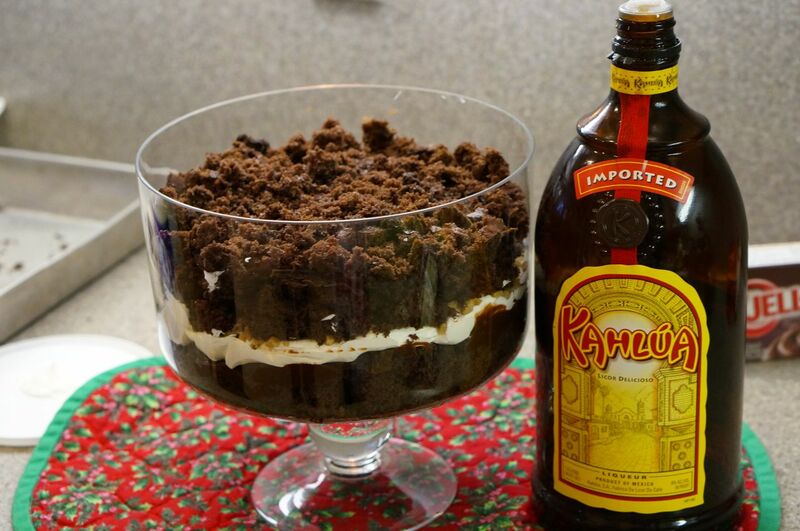 If you aren’t familiar with trifles, they are layered cakes, that look very impressive and taste amazing! 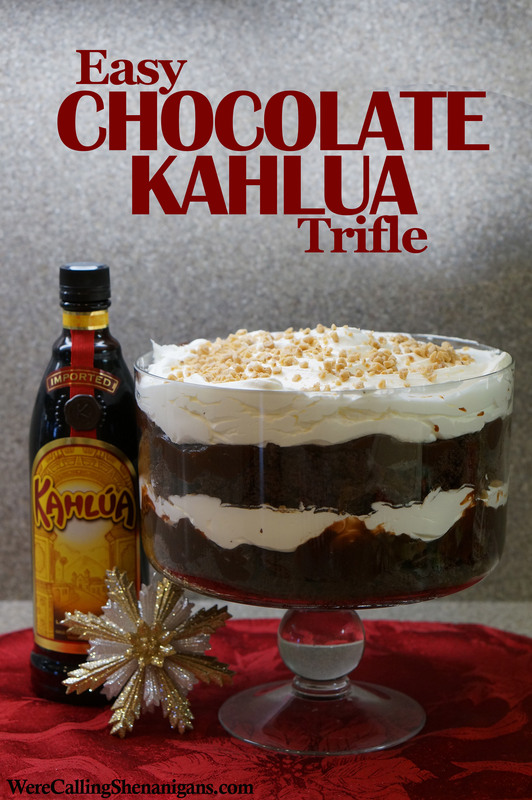 This Kahlua Chocolate Trifle is one of the easiest and most loved shenanigans that we have done so far. Be careful, because if you make this once you will be asked to make it every time! 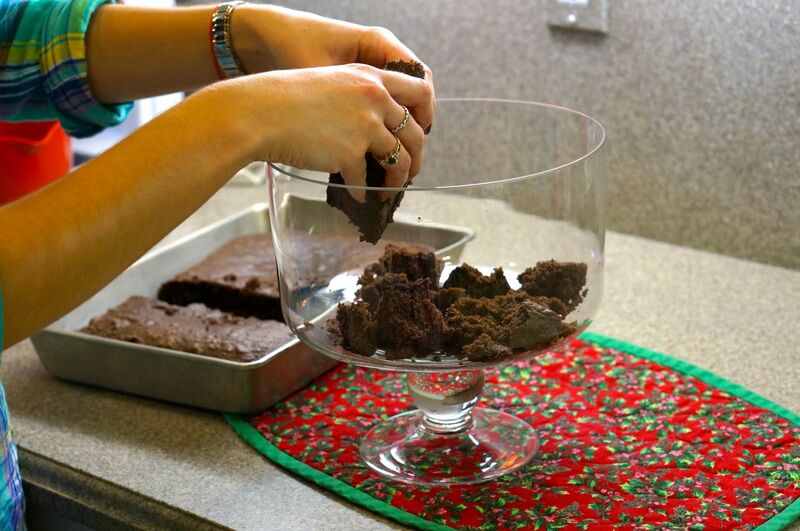 2) Bake your chocolate cake, following the instructions on the box. 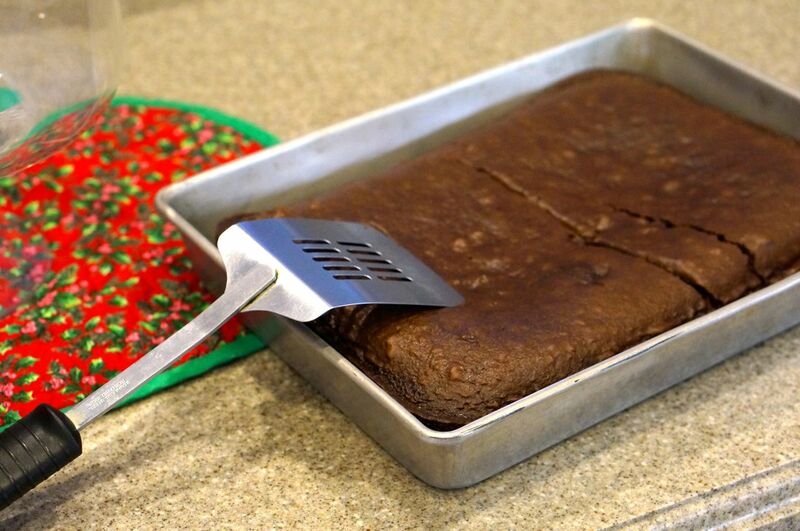 3) Cut the cake in half. 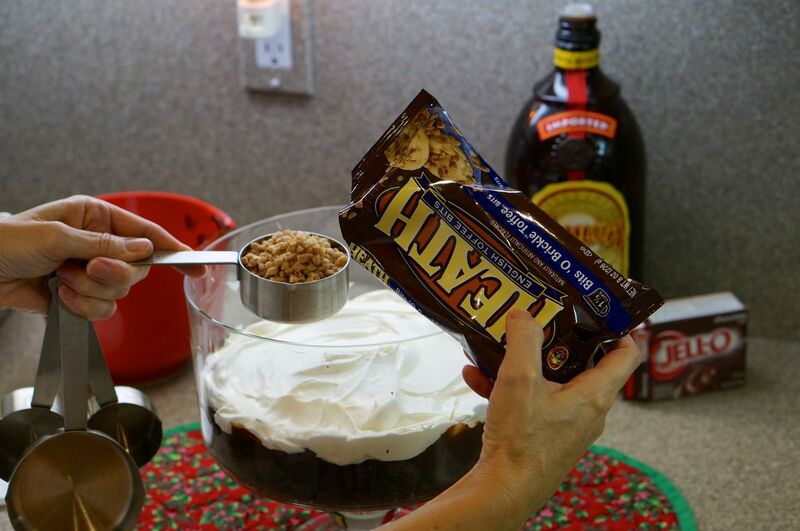 4) Use your hands to crumble the half of cake and put it in the bottom of your trifle container. 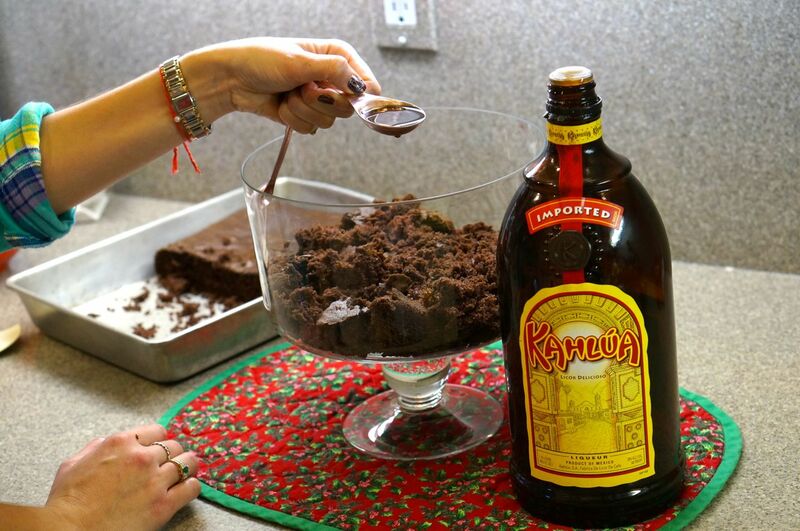 5) Add 2 Tablespoons of Kahlua Liqueur, shaking it evenly over the entire layer of cake. 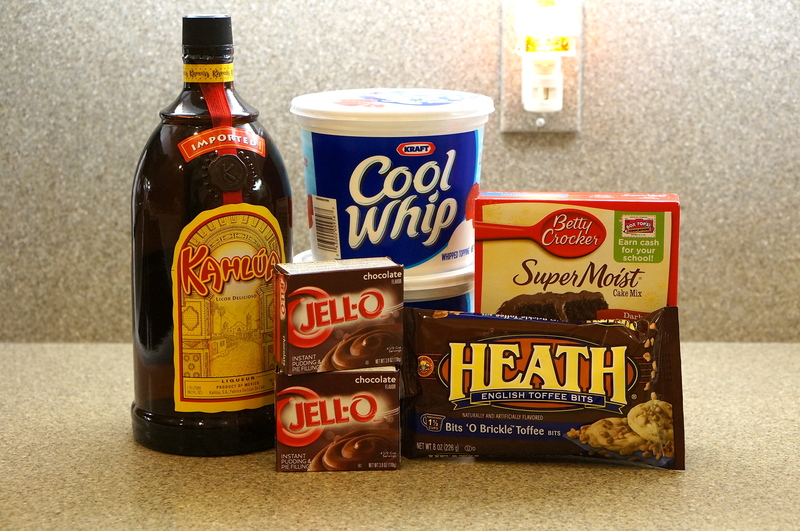 6) Add one of your packages of pudding that you had made previously (and spread evenly). 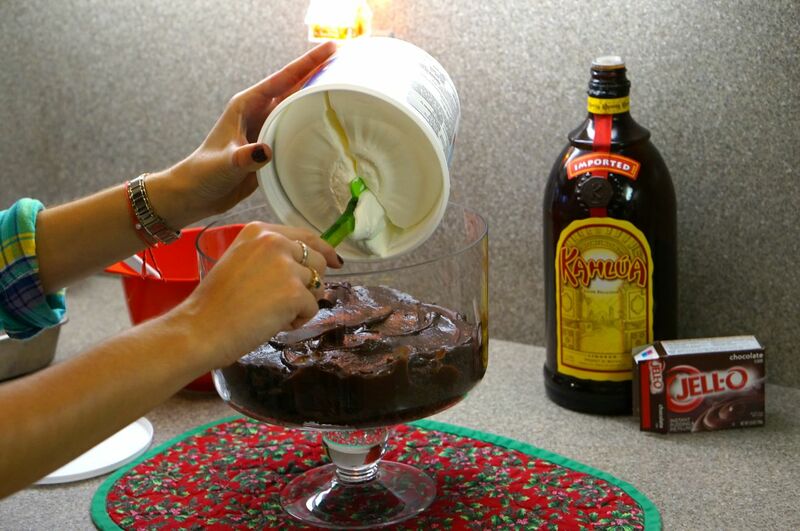 7) Take a little over half of one container of CoolWhip and spread it on top of the pudding. 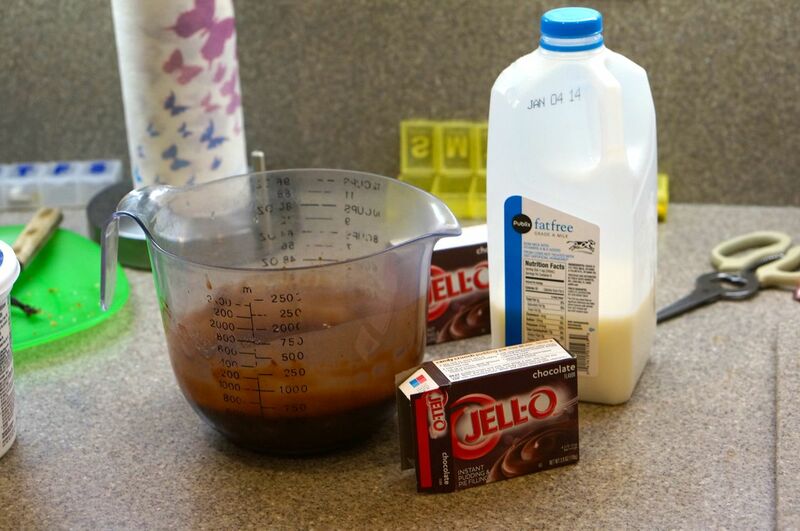 8) Put about a 1/2 a cup of Heath toffee bits (you can add more if you want, just make sure you have a nice even layer). 9) You have completed your first half, now you need to repeat all of the steps again. 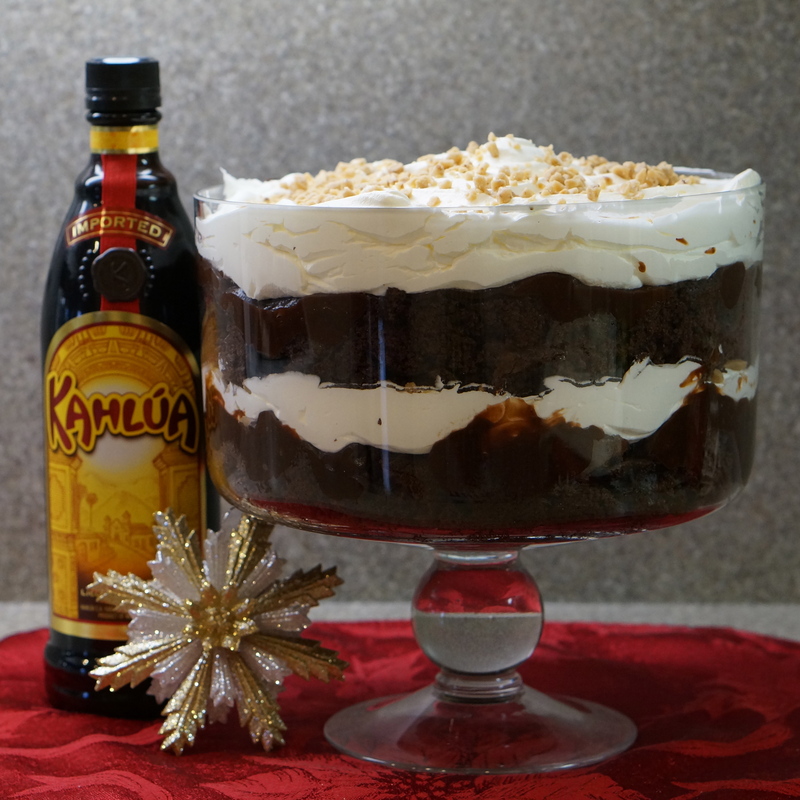 10) Add the other half of chocolate cake and drizzle 2 tablespoons of Kahlua Liqeur again. 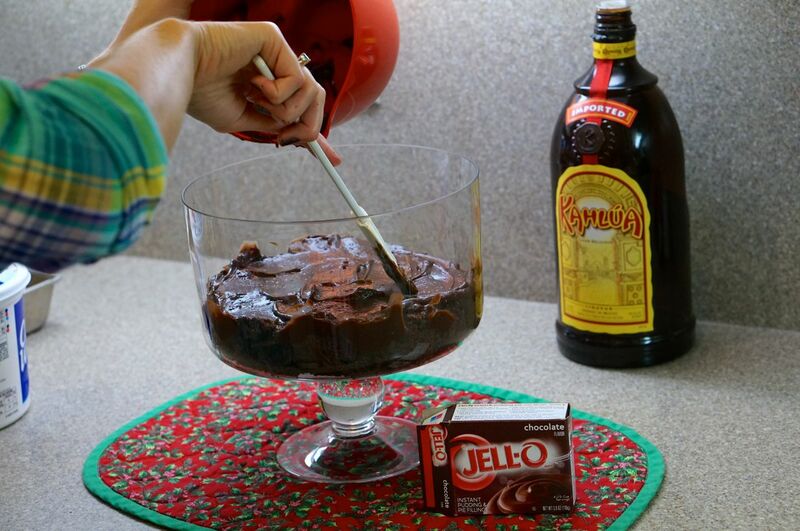 11) Add the other container of pudding. 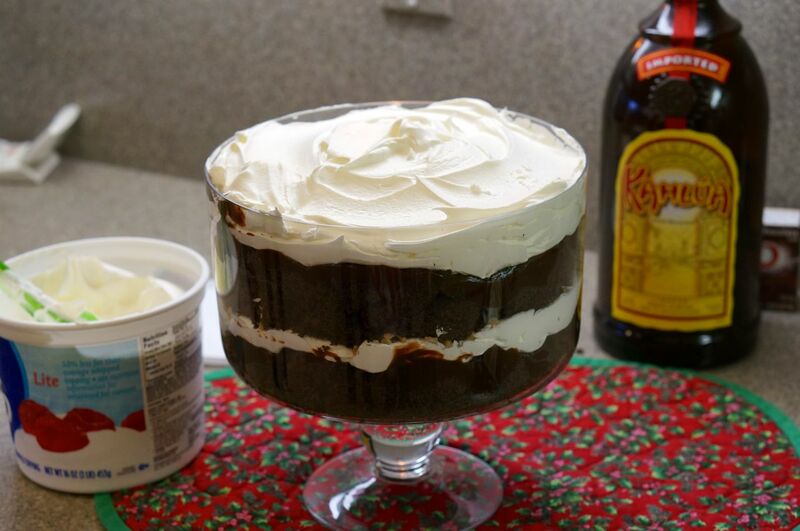 12) Top with CoolWhip until the container is full. 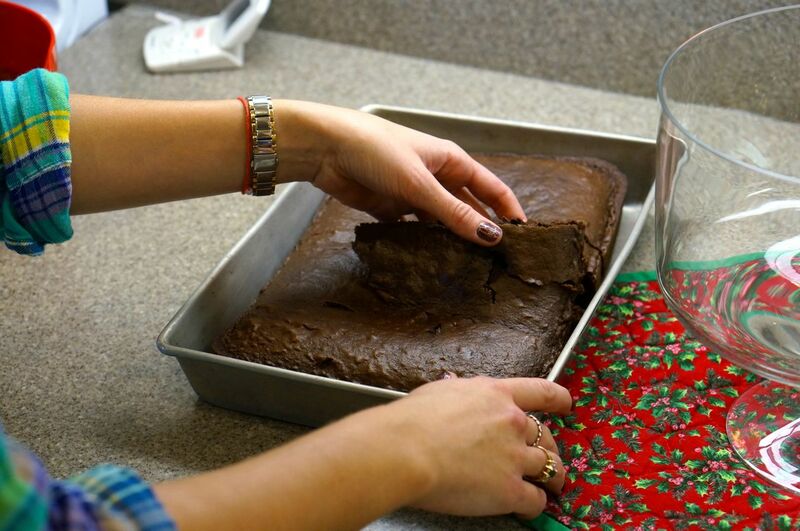 13) Sprinkle Heath bits evenly on top. There you have it! 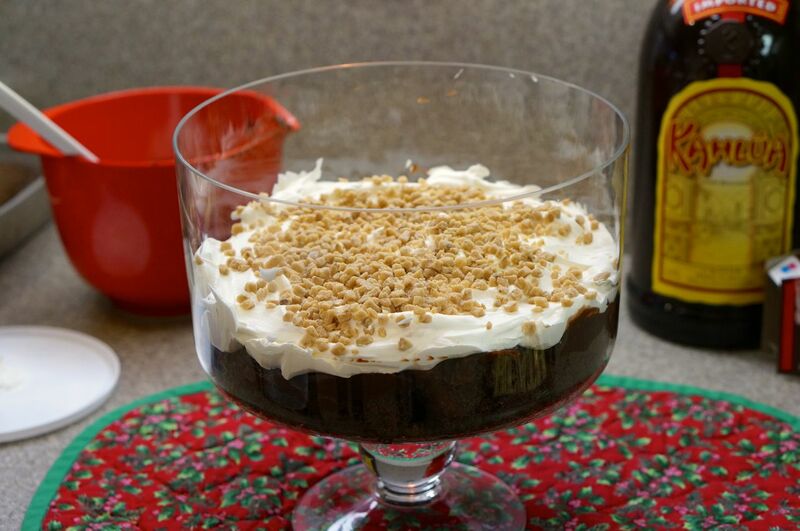 This awesome dish is a perfect New Year’s Eve dessert. Thank you for all of your support this past year, look out for many new things to come from shenanigans 🙂 Happy New Year! For more awesome recipes Like us on Facebook!